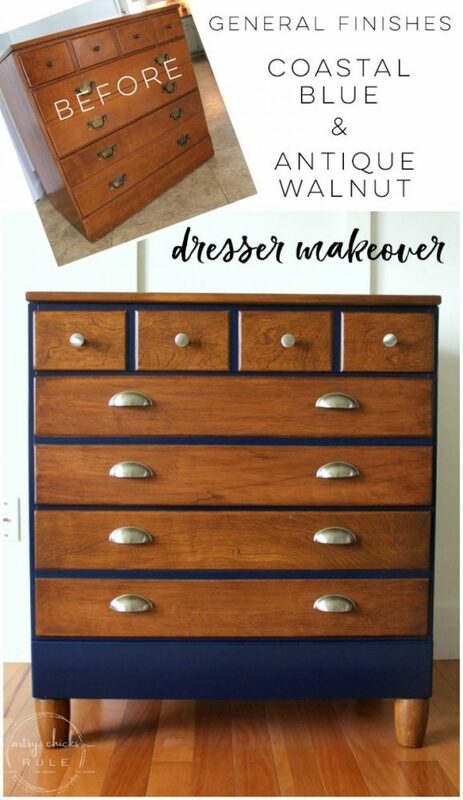 Letting this little Goodwill dresser shine with a full General Finishes makeover using Coastal Blue Milk Paint and Antique Walnut Gel Stain. 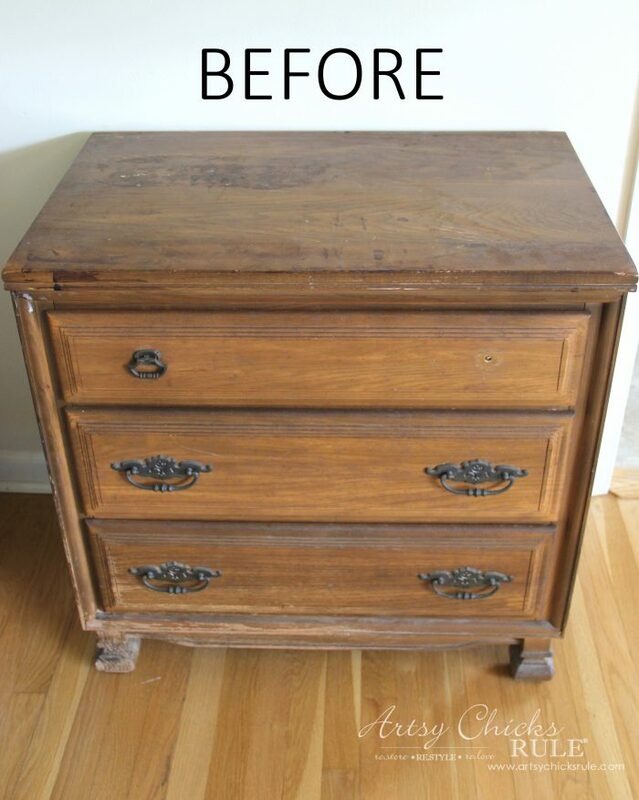 I’m so excited to be sharing this sweet little dresser today with my Trash to Treasure Transformation girls. 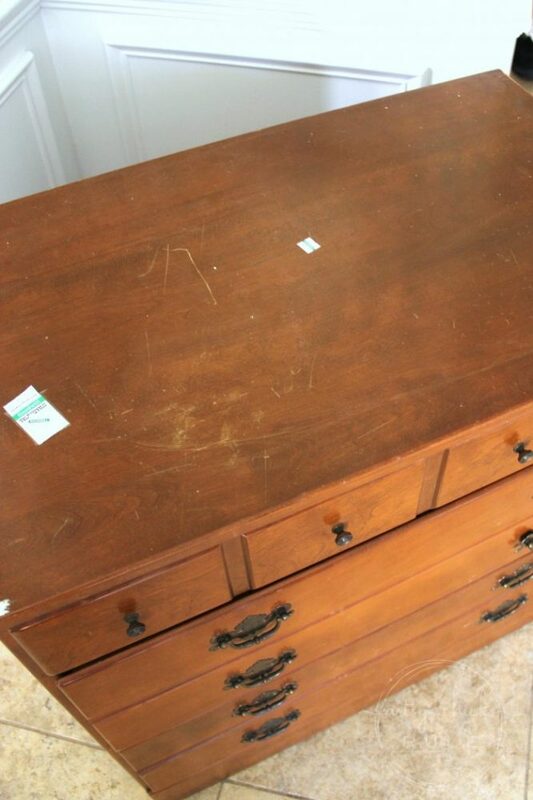 Here’s what this poor, sad little dresser looked like when I found it…. Not terrible but a little beat up and definitely dated. I paid $21 dollars for it….in 2015!! Yep! I told y’all I have a storage unit (or 2) full of furniture to make over. I wasn’t kidding one bit. 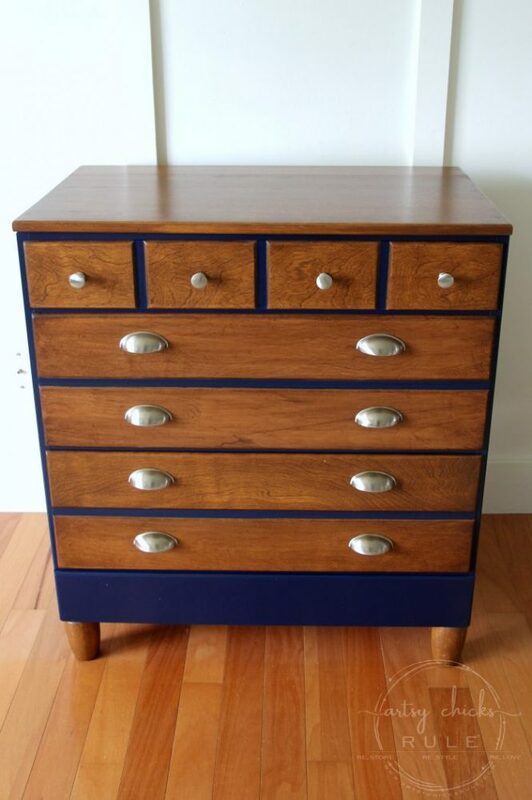 I did really wait on this one for awhile because I had considered making this one a “card catalog” look-alike. But that never worked out so I decided to finally give it a proper makeover. And this is what I saw…. 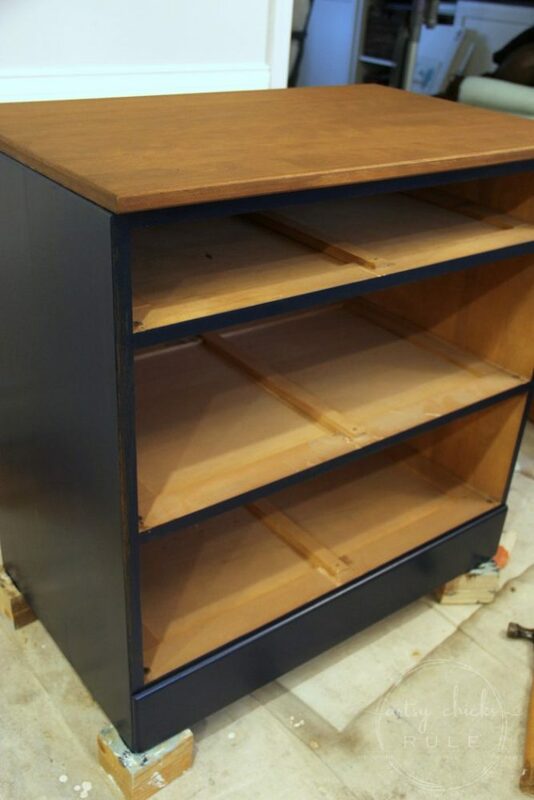 Painted base, stained drawers and top. So I got busy with my favorite poly/finish remover, Citristrip. And this is what I was left with after using that…..
BUT…this was not going to work because I was not planning on using the same hardware. Boo. And those suckers were being stubborn. Ugh! He sanded all the rest for me and mostly removed those pesky handle marks. And I know that was a job. 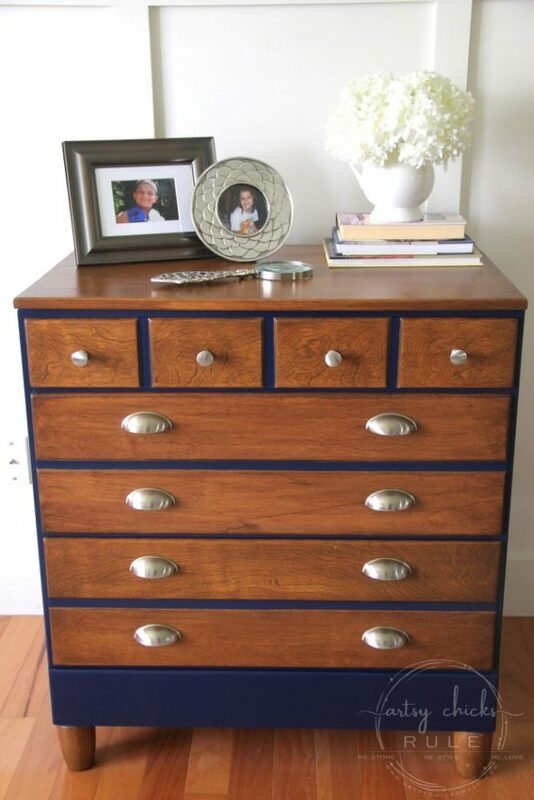 Now, here’s my thoughts on this dresser, style-wise. To me, it’s always sort of looked “boyish”….and so…. I gave it a “boyish” styled makeover. Coastal Blue is the perfect “boy” blue. I used it on this dresser a couple years back. And since that blue is nice and dark, I decided to use Antique Walnut Gel Stain instead of the Java. I didn’t want to go too dark on the wood because I wanted a little contrast with the blue. 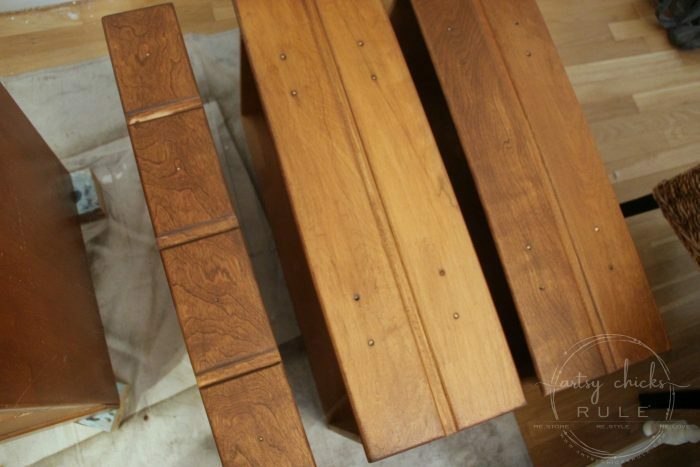 I prepped the wood with some pre-stain wood conditioner and then applied a coat of the stain. 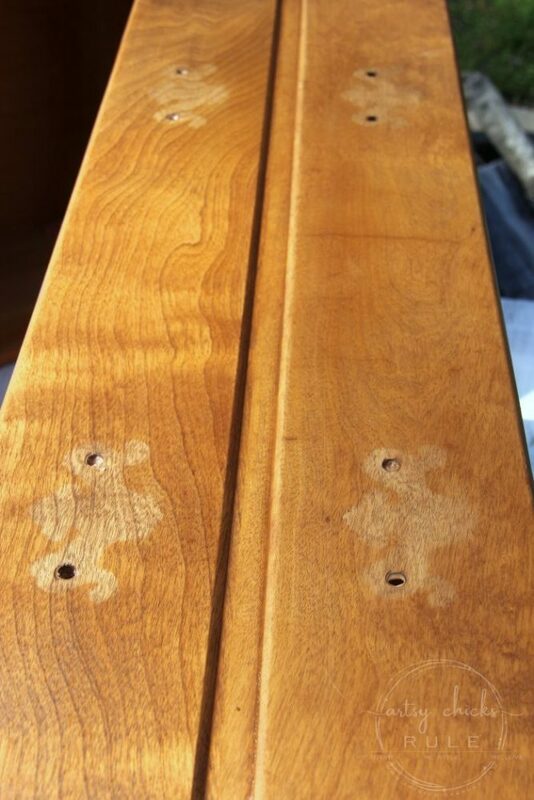 Here is the Antique Walnut Gel Stain applied to the wood….. I had a feeling that middle drawer was going to be a bugger. 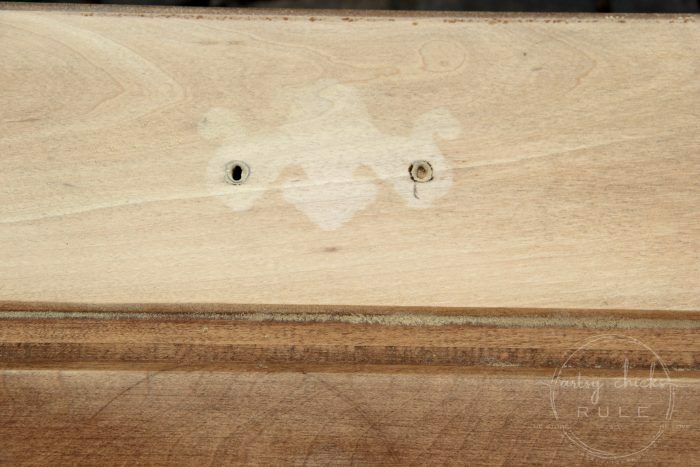 (scroll back up and take another look at it sanded) The wood and wood grain just looked a little different than all the rest. Well, that just was not going to do, so I fixed it….with Java Gel Stain. 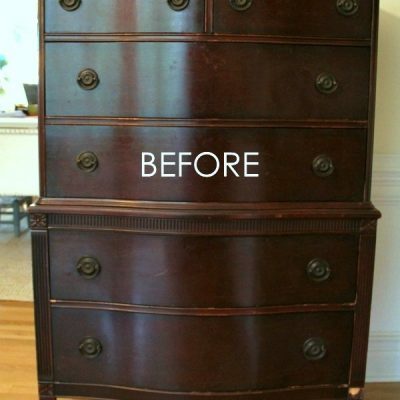 I applied a very light coat onto the middle drawer only. Perfect. Yay!! Isn’t that crazy, though? And I’m SO glad the Java worked…I wasn’t sure I was not going to end up with one really dark drawer. But since I had already used the Antique Walnut Gel Stain, it acted as a primer and only a little of the Java soaked in. Now, I could have gone darker had I wanted to, but obviously here, I didn’t. 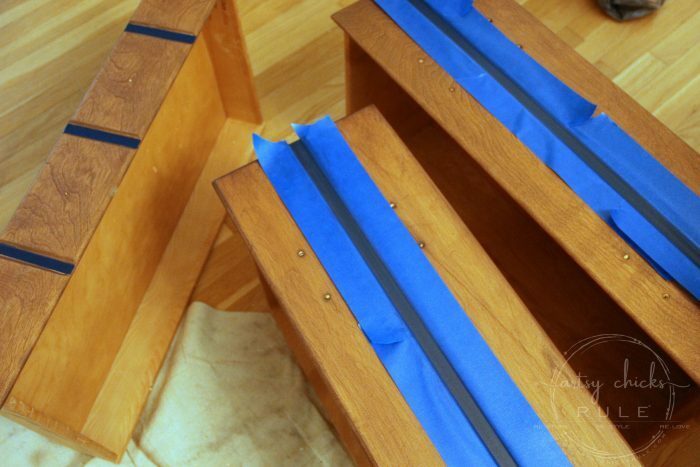 Here’s the first coat of Coastal Blue…. I did 2 coats and then sealed with 2 coats of High Performance Top Coat. 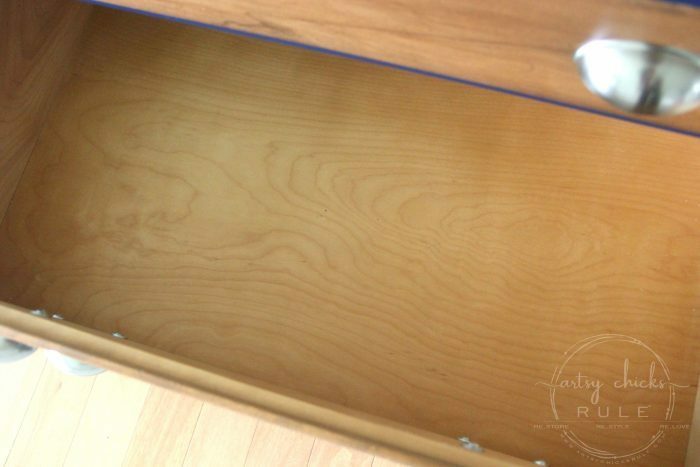 I didn’t add paper or fabric to the insides of the drawers because they were in such great shape. So much so, that it hardly looked like it had ever been used. 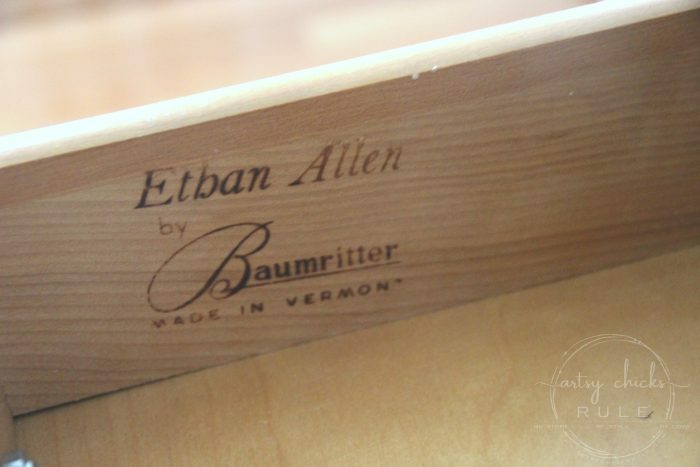 And did I mention this was an Ethan Allen piece? Solid and very well made. 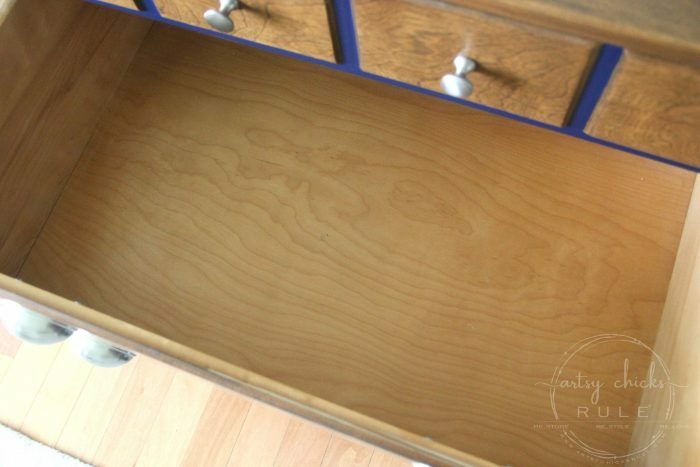 I painted the indentations in the wood drawers to make it look like they were all separate drawers. Even though it’s water based, you can use it over the Gel Stain, just be sure to wait a few days in between. 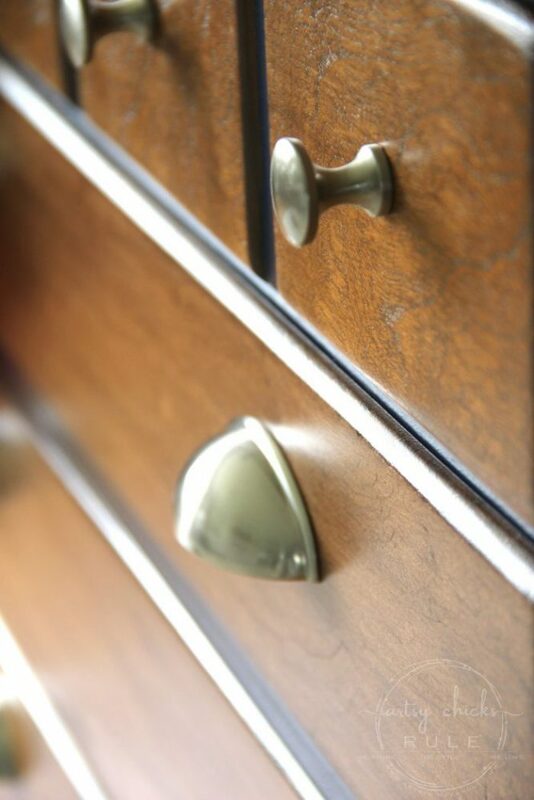 You can find the knobs, here. I also shared them on Instagram stories. Sadly the stories only last 24 hours and then they disappear. I do save some of them in my little icons there, though. I also shared the pretty feet on the stories I’m adding to the new “coffee bar” I’m making. Soon, soon! 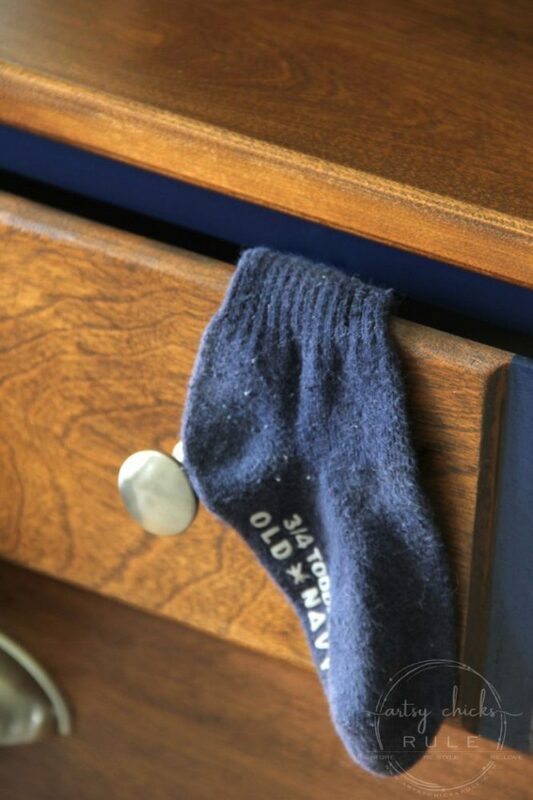 But back to these feet…..
You guys….this dresser needed feet! Don’t you agree? It was just like a slab sitting on the floor. It seemed just off to me. 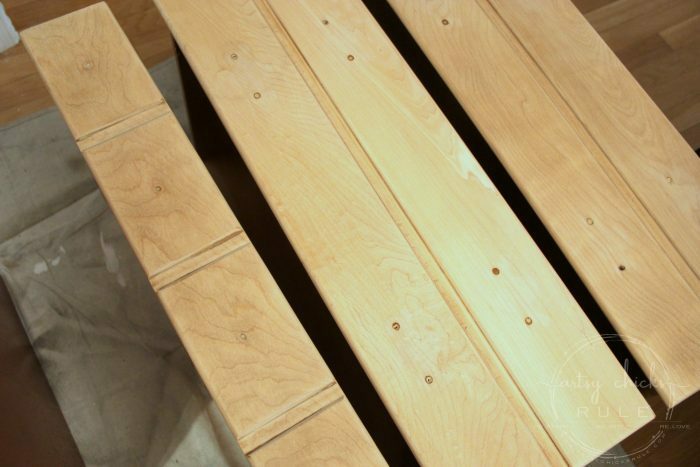 The feet….well, when they went on it was like, “oh yes!….the perfect finishing touch!”. I added them last so it really was like the icing on the cake. The feet came from The Home Depot. I couldn’t find them on the website to link to, however. But I did see some other pretty ones they have that are not available in the store. 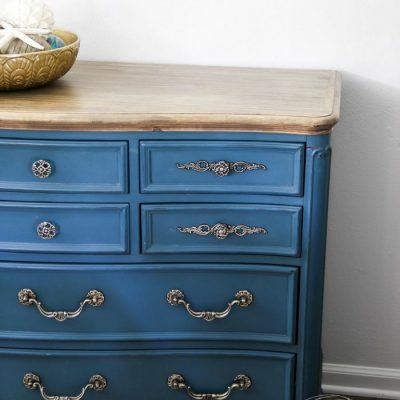 And since I sort of gave this a makeover with a boy (probably a little boy since it’s a little dresser) in mind, I thought I’d style it up that way to photograph. And…..oh my, memories! And maybe even a slight tear or two as I pulled this stuff out. He was a pretty big fan of SpongeBob as a kid, too. I have no idea why there was a rogue, lone sock in the mix but oh my, tears!!!! Okay, enough of memory lane, let’s see it styled not “boyish”. You really could go either way with this. I guess it just depends on your style and colors. I still see it as a boy dresser though. 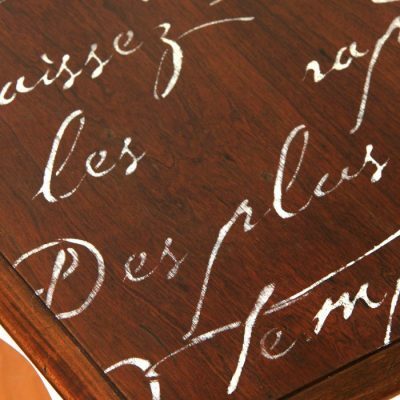 Isn’t that Antique Walnut Gel Stain a beauty? I really love the Java but that Antique Walnut is a close second. 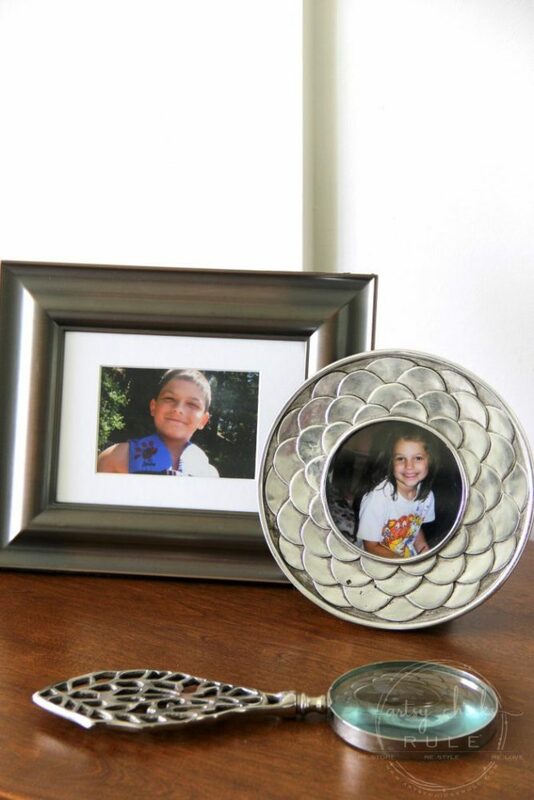 And there’s my boy AND my girl…. Those of you with kids that are grown know how fast it goes. The days really are long, but the years, oh my how they fly by. I’m feeling all emotional now!! hee hee….doesn’t take much anyway. Okay, PIN this if you want to save it (or the products I used) for later…..
Now hop on over and check out all these beauties! Click the links below to see them all! 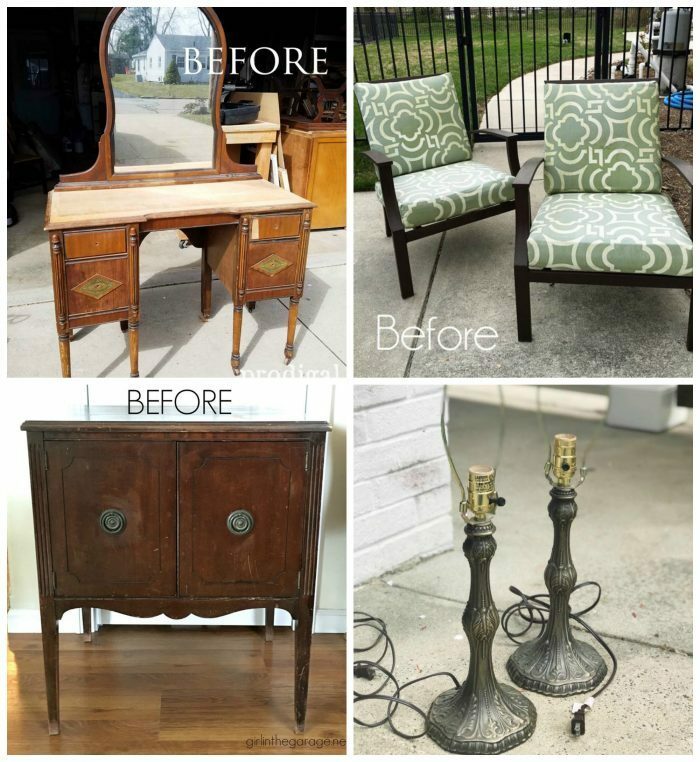 Want to see even more Trash To Treasure makeovers?? Click, here to see more! 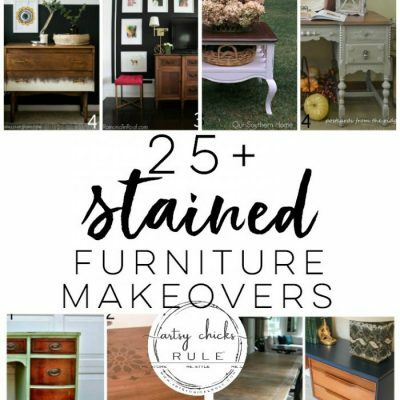 Don’t forget to check back to see my latest furniture makeover! UPDATE:!! See it now >>> here!! I hope you enjoyed the makeovers! Have a wonderful week! 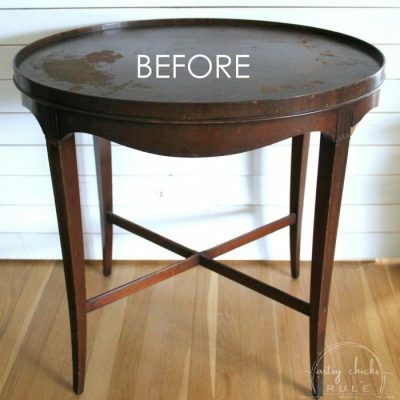 « How To Create Faux Patina with Paint…Easy!! Thanks Donald! And of course!! :) That is exactly why the feet went on last. Well, 1, I wanted to make sure I was going to like them and 2, to make sure I was going to like them stained and not painted. I was unsure which way to go but ended up liking how they looked stained so kept them that way. :) But painted would have been nice too! Oh Nancy, Larissa is so right, this is a gorgeous makeover. Love the colors. Didn’t this one have the plastic like trim around the top? I’ve had three of these while my kids were growing up. Don’t get rid of your son’s toys. Buys some sturdy bins and store them. My son now has four sons and they love when Dad pulls out some of his toys. His old metal Tonka trucks, Breyer horses, Transformers, and oh, the Legos! I didn’t think he was going to let them play with his Legos but he is sharing. lol. 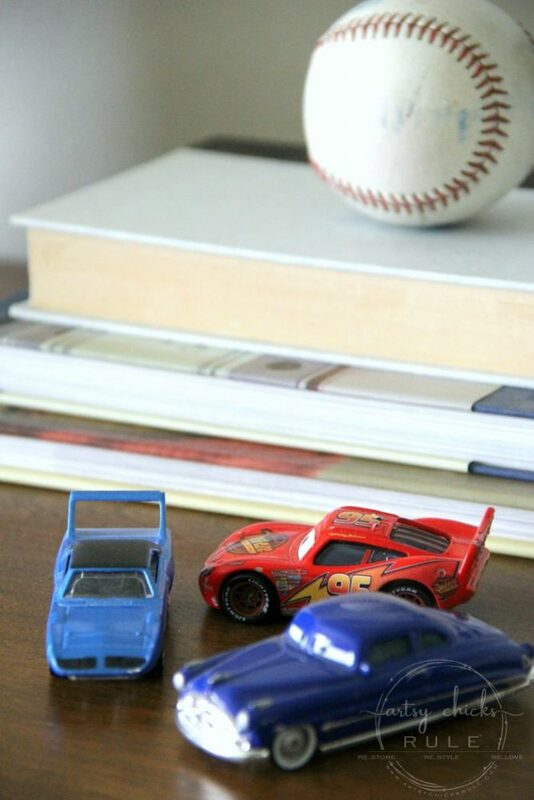 My grandsons think these are the best toys. Nancy I love the new life you gave to this piece. 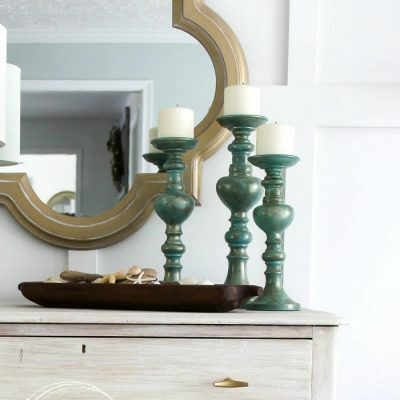 The paint and stain colors go together beautifully, and with the new feet and hardware it has a chic MCM vibe to it now. I definitely agree, it has a boyish look to it. Great rescue! 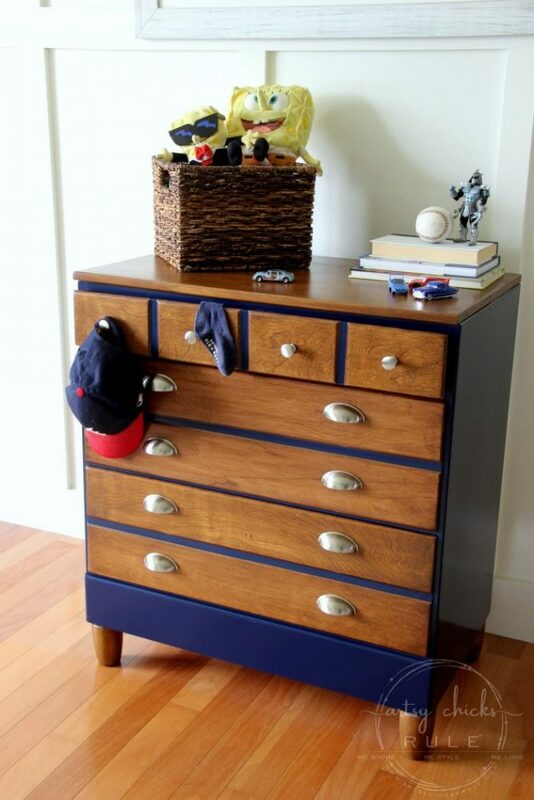 I had that dresser growing up and kept it into adulthood. I might not have gotten rid of it if I had thought to put feet on it. It looks so much more contemporary! 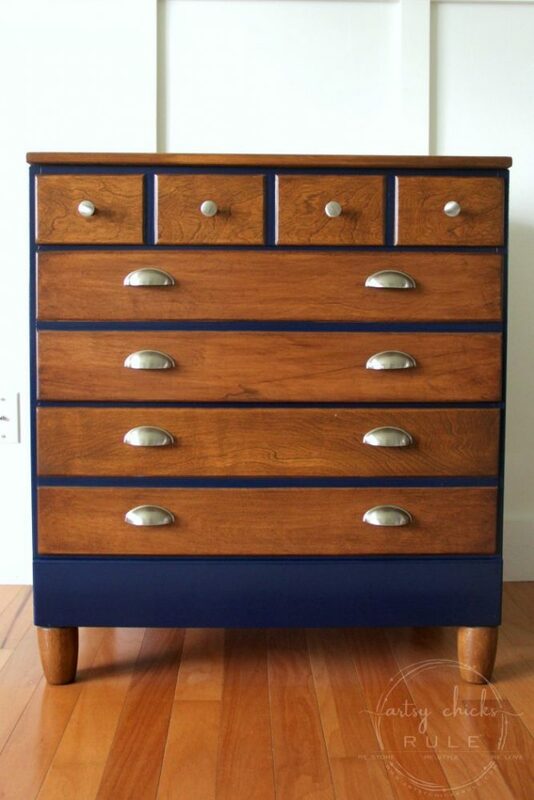 So this mid-century dresser now looks even more mid-century! Those feet really are perfect for it, along with the modern hardware and fresh color. 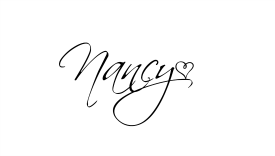 What a great combination of old and new, Nancy. Love the new look! Adding the feet is like putting a lovely cake on a cake stand rather than a plate. 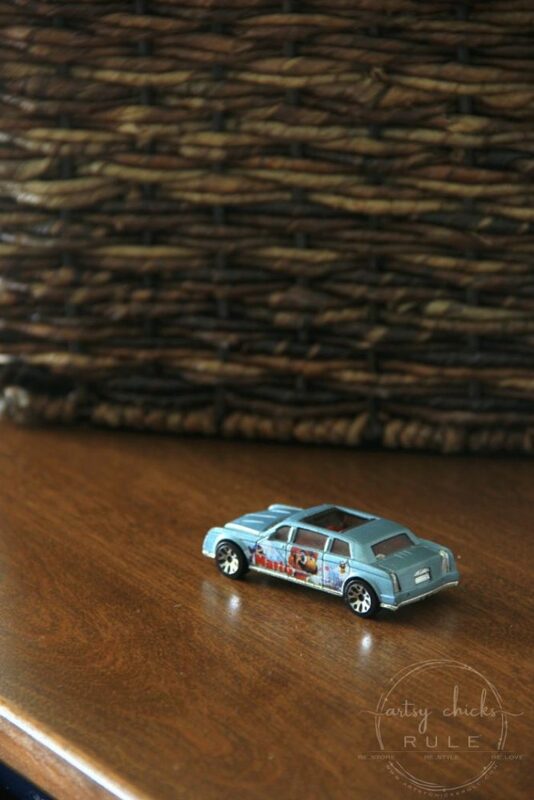 You touched my heart with the boy toys; yesterday I was looking around at the chaos of strewn toys, I was thinking “How could I ever get rid of the matchbox cars and legos?” I agree with Sandra’s comment above! These are such fun hand-me-down items (as are other toys too). My boys’ first legos were ones that my mom saved from my brother’s and my stash. (She had a hard time giving those up; made me wonder if she had secret building sessions with them, lol). I loved matchbox cars as a little girl, but I only kept one, a little horse trailer (it used to have two tiny white horses). I let the boys play with it now and then, but find myself scooping it up and tucking back away. Back when I was getting rid of my toys, I wish that I could have foreseen that toys in the future would be cheaply made, I probably wouldn’t have gotten rid of any of them. I can’t imagine what they will be like when (and if) I have grandkids. Thanks for the fun post! 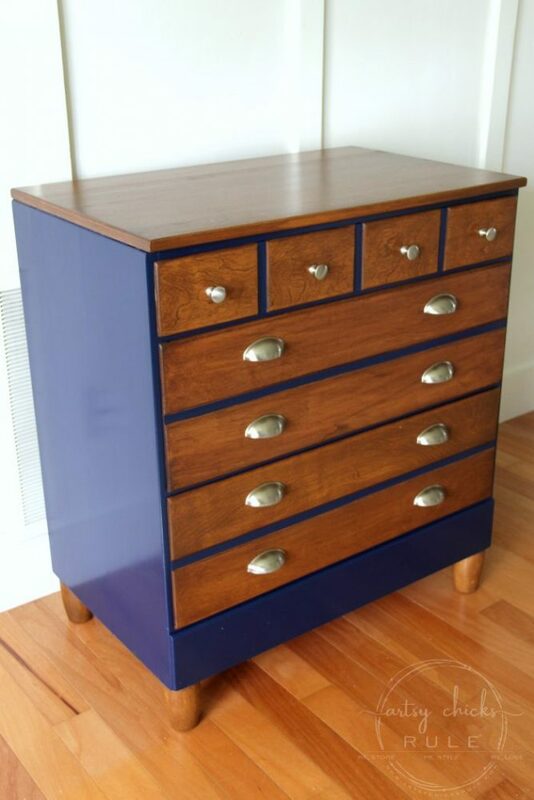 I love the refreshing new look and the drawer pulls are so much better than what was there!!! Great makeover, Nancy! Can’t go wrong with that bit of MCM style! 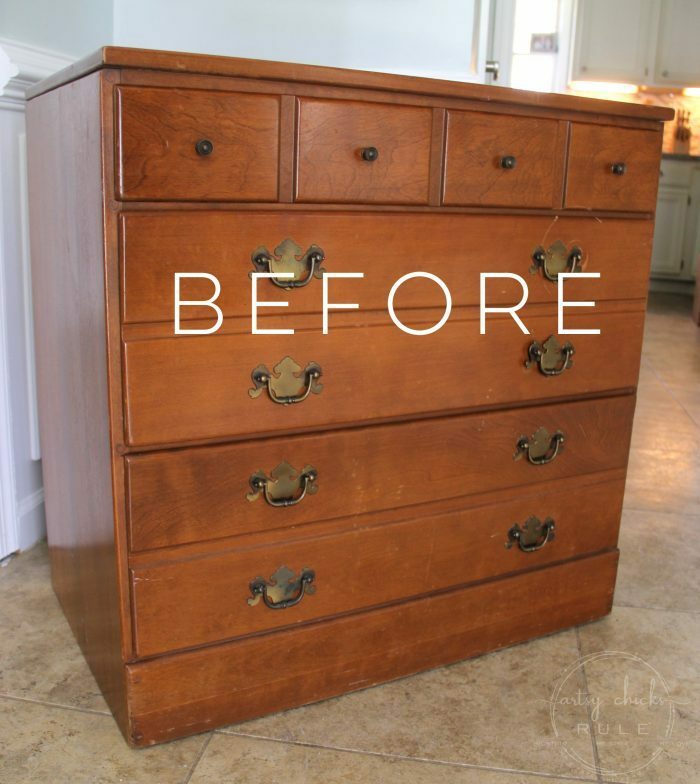 This dresser went from blah to wow! It’s very nice now. 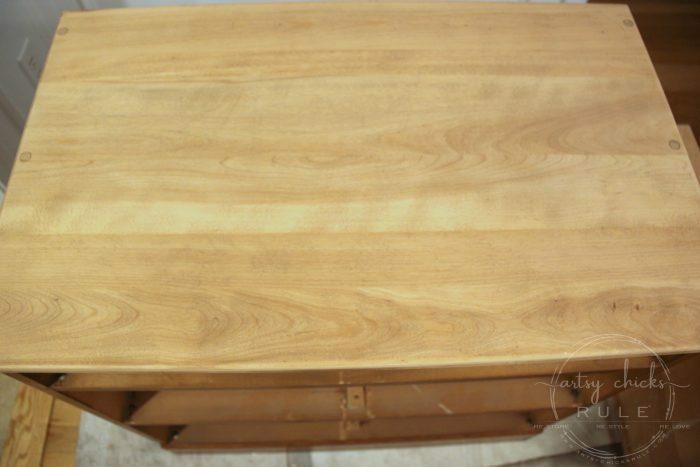 I like the feet stained because the drawers create a horizontal plane and the feet draw your eyes vertically. Contrast is good! Yes, this is a very good sample to copy. Thanks a bunch. The dresser is stunning! I love it. 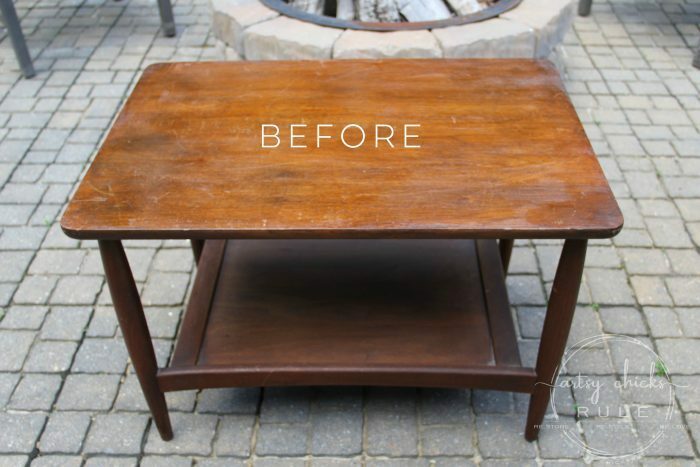 You and your husband did a fantastic job in cleaning and getting the dresser ready for the new paint and stain. 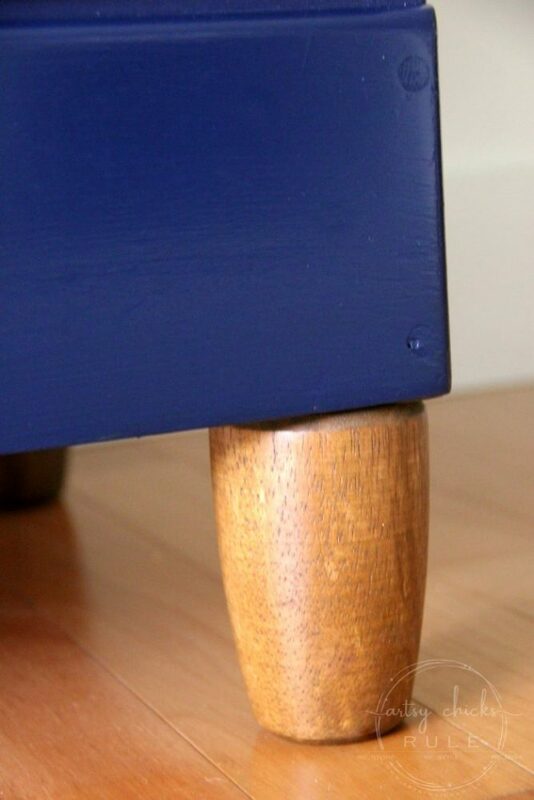 I love the blue with the walnut stain and YES, the feet are fabulous! 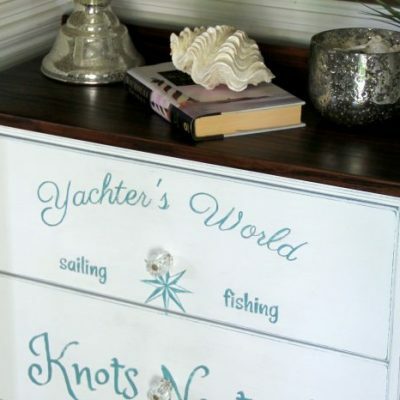 Love the drawer pulls also. It is just a beautiful new dresser!!! OMgoodness! 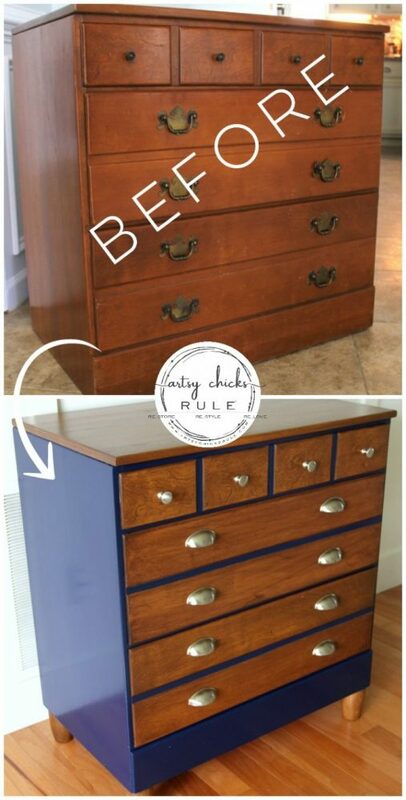 I adore your makeover for this dresser! 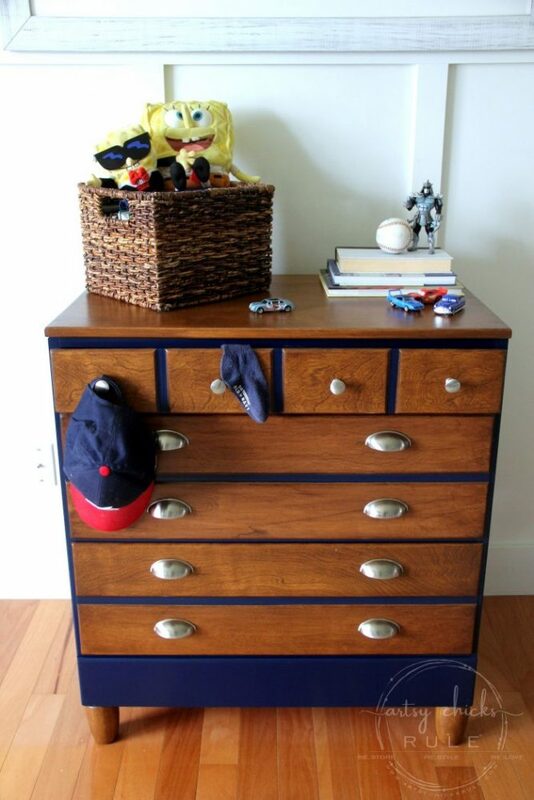 I have an old dresser that my grandson used that I had painted red that I’d like to redo for my new great-grandson. I think I’ll do something similar to yours. Thanks for posting. It’s just wonderful. Hi there, I have never used a Gel Stain or Java Gel Stain. Is the Gel Stain similar to using a regular type liquid stain? Also, does the Java Gel stain used to darken a stain? Very nicely done. 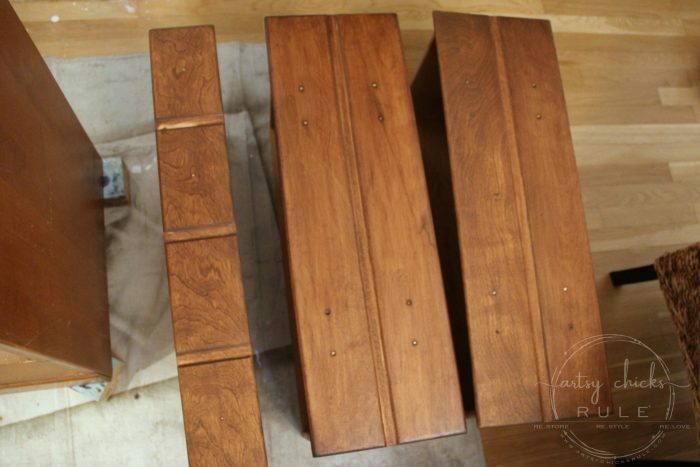 I am getting ready to start on a piece of furniture similar to this and just need the final pieces to the puzzle. Thanks!